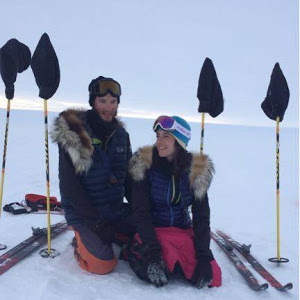 (By Correne Coetzer) The Traverse Trio, Are Johansen, Stéphanie Gicquel and Jérémie Gicquel, completed their ski expedition on Tuesday, January 27, at 3h35, the Gicquel couple reported. 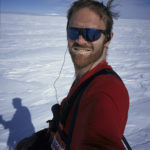 After starting at the Ronne-Filchner Ice Shelf on November 14, the team headed south to the Geographic South Pole, spent Christmas at the bottom of the world, and headed north to Hercules inlet. 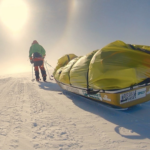 Are, Stéphanie and Jérémie covered a distance of 2020 km in a straight line between waypoints. The last day they covered 45 km in 18 hours, said Are. 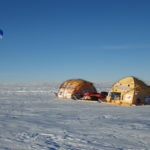 The team calculated a distance of 2045 km on their GPS, and 73 days 15 hours and 35 minutes on their stopwatch. 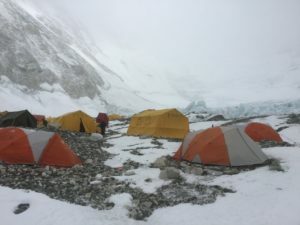 As they started on November 14 and skied into January 27, their days added up to 75 for AdventureStats.